King, Betty Nygaard. 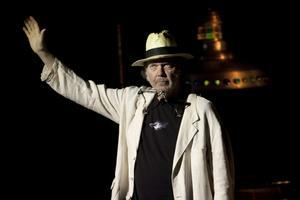 "Neil Young". The Canadian Encyclopedia, 05 April 2019, Historica Canada. https://www.thecanadianencyclopedia.ca/en/article/neil-young-emc. Accessed 23 April 2019. Neil (Percival) Young. Singer, songwriter, guitarist, pianist, harmonica player, b Toronto 12 Nov 1945; honorary D MUS (Lakehead) 1992. Neil Young arrives at the 2012 MusiCares Gala honoring Paul McCartney at LA Convention Center on February 10, 2012 in Los Angeles, CA. Neil (Percival) Young. Singer, songwriter, guitarist, pianist, harmonica player, b Toronto 12 Nov 1945; honorary D MUS (Lakehead) 1992. A son of the Toronto journalist Scott Young, Neil Young moved to Winnipeg in his mid-teens and first performed 1962-4 with a succession of rock bands, including the Squires, in Manitoba and northern Ontario, in particular Fort William (Thunder Bay). He then worked with the Mynah Birds in Yorkville (Toronto) coffeehouses and later in Detroit before moving to Los Angeles. There he was a founder and 1966-8 a member of the celebrated rock group Buffalo Springfield with Stephen Stills, Richie Furay, and the Canadians Bruce Palmer (bass) and Dewey Martin (drums; b Walter Milton Dewayne Midkiff, Chesterville, Ont 30 Sep 1940, d Van Nuys, Cal 1 Feb 2009). Although Young worked informally 1969-74 and again in 1988 with David Crosby, Steven Stills, and Graham Nash in the supergroup Crosby, Stills, Nash and Young, and briefly again in 1976 with Stills, he concentrated after 1968 on what became one of rock's most productive and enduring solo careers. His music remained as restlessly personal in the 2000s as it had been in the early 1970s; that several tribute albums have appeared, including in country and alternative rock genres (eg The Bridge - A Tribute to Neil Young [Caroline CAROL-1374, issued in 1989], Borrowed Tunes [Everyman Z2K 80199, issued in 1994]), is a testament to the esteem in which he is held by younger generations of musicians. Although Young was accompanied most frequently by a rock band, Crazy Horse, he did not limit himself on record or in concert to any one pop style. In his annual tours to arenas, stadiums, and major halls in Canada and the US during the 1980s, for example, he appeared solo in 1983 (accompanying himself on guitar and harmonica or at the piano), with a country group (the International Harvesters) in 1984 and 1985, with Crazy Horse in 1986 and 1987, and with an R&B ensemble (the Blue Notes) in 1988. His distinctive singing style, however, remained constant, strained and forceful on one hand and disarmingly soft on the other, in what has been described as an "unlovely, unforgettable voice " (Katherine Gilday, Toronto Globe and Mail, 3 Oct 1978). On Trans, an LP from 1982 in the electro-pop style, he employed a voice synthesizer. In band settings, and particularly with Crazy Horse, his electric guitar work was fierce, untidy, and distorted but startlingly effective in the directness of its attack. 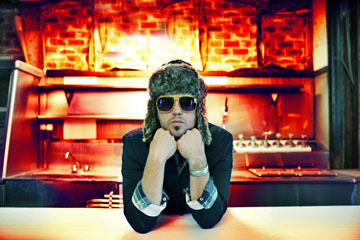 By the 2000s, Young continued to tour within North America and Europe, variously with Crazy Horse, the band Pearl Jam, Booker T. and the MGs, and in solo concerts. He reunited with Crosby, Stills and Nash for a concert tour in 2000 and was heard on the joint album Looking Forward. The songs of Neil Young are noted for their poetic imagery, references to landscape, and an activist social conscience informed by US current events. Among his many songs are "Expecting to Fly, " "Broken Arrow, " "Mr. Soul, " and "I Am a Child, " recorded by Buffalo Springfield; "Country Girl, " "Helpless, " "Ohio, " and the later (1988) "American Dream " for Crosby, Stills, Nash, and Young; and "Southern Man, " "Round and Round, " "Everybody Knows This Is Nowhere, " "Only Love Can Break Your Heart, " "Tell Me Why, " "Cinnamon Girl, " "Old Man, " "Heart of Gold, " "Rockin ' in the Free World," and "This Note's for You. " Of these, "Only Love Can Break Your Heart, " "Heart of Gold, " and "Old Man " were commercial hits in the early 1970s, the second a million seller in 1972. Young's version of Four Strong Winds was popular in 1979; in turn his "Lotta Love " was a hit that same year as recorded by Nicolette Larson. His "Get Back to the Country " was a minor country hit in the US and Canada in 1985. "Helpless " was repopularized by k.d. lang in 2005. Young's songs were anthologized in the folios Complete Music (3 vols, Warner, 1974, 1975, 1984). Of his albums 1969-79, only Journey Through the Past (the soundtrack from an autobiographical film), Tonight's the Night, and Zuma sold less than 500,000 copies in the US. Sales of Rust Never Sleeps, issued in conjunction with a documentary film of the same title, exceeded 1 million. 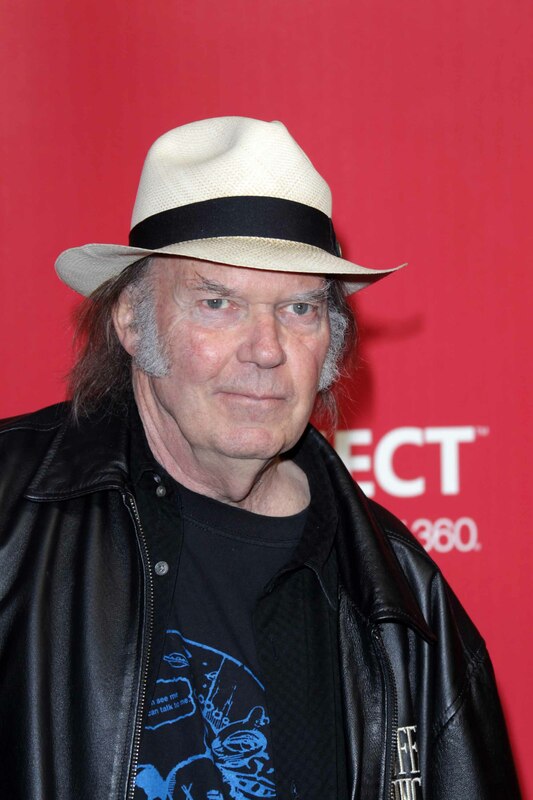 A third film, Neil Young in Concert, was released in 1983, and concert videos were later issued with performances of music from his albums Freedom, Ragged Glory, and later albums. Young's career enjoyed a notable resurgence in the 1990s. His several recordings during and after that decade ranged from Mirror Ball (1995), in collaboration with Pearl Jam, to the politicized concept album Greendale (2003). Greendale inspired a number of spin-off projects, including a film (2003, directed by Young) and the 2010 graphic novel Neil Young's Greendale (Joshua Dysart, writer; Cliff Chiang, illustrator; Dave Stewart, colourist). Mirror Ball and 1992's reflective Harvest Moon both reached number four on Canadian album charts. Young won his first Juno award, for Harvest Moon, in 1994; this was followed by a 1995 Juno as best male vocalist, and the 2001 award for best male artist for Silver and Gold. In 2010 he released the solo acoustic album Le Noise, with Daniel Lanois as producer. 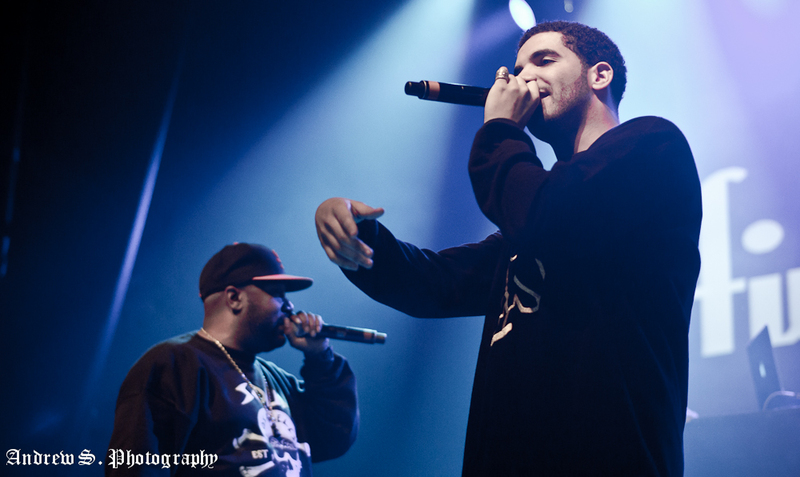 The album garnered Young the 2011 Juno awards for adult alternative album of the year and artist of the year; the same year, the single "Angry World " earned him a Grammy Award. Young received his first-ever Grammy in 2009 for his box set Archives, Vol. 1 (1963-1972), an 8-disk comprehensive, chronological survey of his entire body of work including, among his previously released seminal recordings, several live sets including concerts at Massey Hall and Toronto's venerable Riverboat coffeehouse. Americana, released in 2012, saw Young backed by Crazy Horse, their first album together since 2003's Greendale. The set featured Young's interpretations of traditional American folk songs, including such well known tunes as "Oh Susannah, " "Clementine " and "This Land is Your Land. " A curious inclusion was "God Save the Queen, " which actually served briefly as an American national anthem before the adoption of "The Star-Spangled Banner, " although the lyric of the period would more accurately have referred to "King, " not "Queen. " Twentieth Century examples of American "folk " included "High Flying Bird, " originally recorded by Richie Havens, and the Silhouettes' 1958 r&b hit "Get a Job. " Also released in 2012 was Psychedelic Pill, a two-disk set with Crazy Horse, their first collection of original music together in almost a decade. Young's song "Philadelphia " was nominated for an Academy Award in 1994. Behind the camera, Young directed several films under the pseudonym Bernard Shakey. As a record producer, he used the pseudonym Phil Perspective. 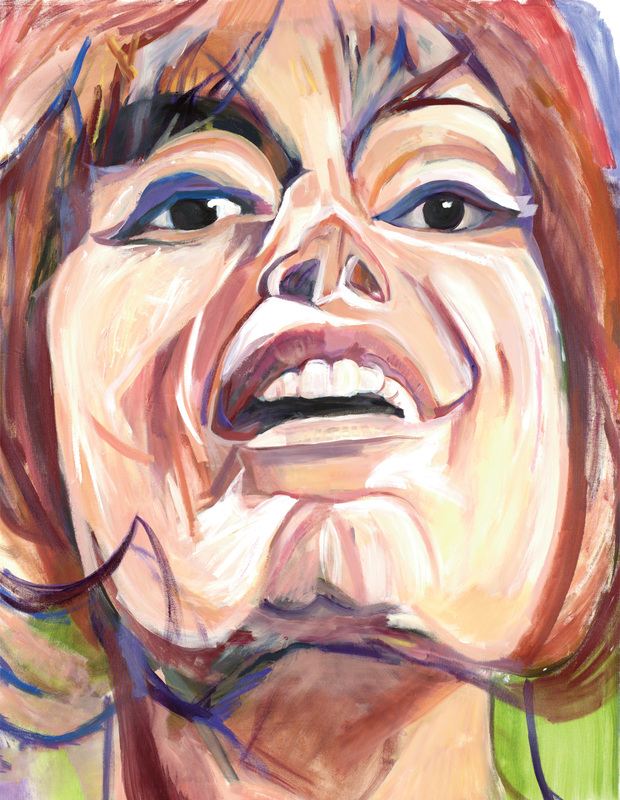 2006 saw the release of Living With War, Young's fiery condemnation of US president George W. Bush and the war in Iraq. Young was inducted into the Juno awards Hall of Fame in 1982. In 1994 he received the Governor General's Performing Arts Award; he was inducted into the Rock and Roll Hall of Fame in 1995 and the Prairie Music Hall of Fame in 2002. He has been the subject of several books, notably Johnny Rogan's Neil Young: Zero to Sixty, and Jimmy McDonough's Shakey. The film documentary Neil Young: Heart of Gold (Jonathan Demme, director) was released in 2006. For co-founding the Farm Aid concert series and The Bridge School (the latter with his wife, Pegi Young), he was honoured with the Junos' Allan Waters Humanitarian Award in 2011. Young was named an Officer of the Order of Canada in 2009. Young, Neil, Waging Heavy Peace (2012); McDonough, Jimmy, Shakey: Neil Young's Biography (2003). JUNO AwardsThe website for the JUNO Awards and the Canadian Music Hall of Fame. Scroll down the page to check out the latest award winners and music clips. Sample the latest JUNO Awards CD. From the Canadian Academy of Recording Arts and Sciences.